Please contact me regarding the 1989 Ford LN 8000 Tank Truck- tandem - Stock# 6 for sale at TruckerToTrucker.com. 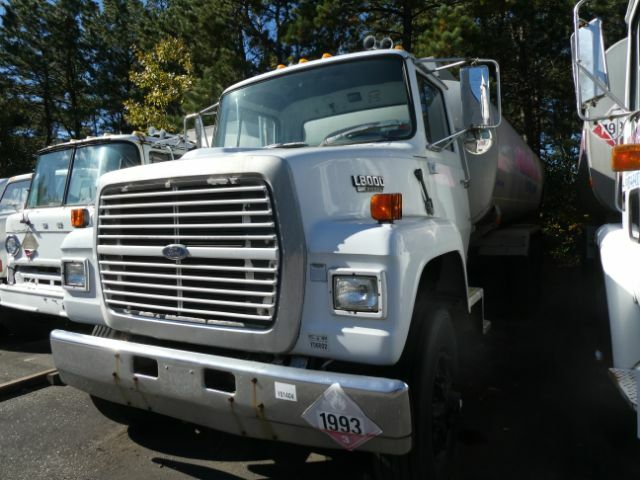 Take a look at this 1989 Ford LN 8000 Tank Truck- tandem. It is Stock# 6 at TruckerToTrucker.com. 1989 Ford LN 8000 Tandem Tank Truck- Fuel Oil- 4600 gallon 2 compartment aluminum tank with quick drop, Road Ranger 10 speed transmission. Engine replaced with new in 1994. Good truck, Needs some work. Won't last at this price!!!! !